Singapore has some of the best shopping anywhere. Not only does it boast a huge amount of high-class malls and bustling markets, the prices are also attractive owing to low taxes and a competitive market. Consumer electronics are the best deal in Singapore, and there are dedicated shopping malls for cameras and computers. Fabrics are also well priced and there is a great range of duty free items. If you're in town in July, be sure to check out the Grand Singapore Sale. 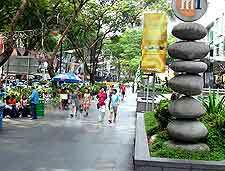 Orchard Road is the king of shopping in Singapore City. This lengthy tree-lined thoroughfare lies to the west of the city centre and boasts mall after mall of quality shops. Even those not into shopping can't help but be impressed. 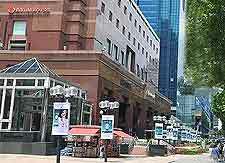 It is nice just to window-shop along Orchard Road, although bargains can often be found. 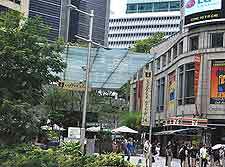 While every range of clothing store is available in Orchard Road, nearby Holland Village is certainly one-up in the designer stakes with its exclusive boutiques. It is also known for its stylish cafés and bars. Singapore is big in electronics and computers. Little Italy is especially good, with its iconic Sim Lim Square. However, you really need to know what you're looking for here, as there's a good chance of getting ripped off. 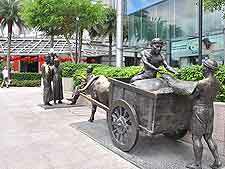 The Funan IT Mall is a better bet in that respect. Peninsula Plaza, near City Hall, is especially good for cameras - but it is best to avoid Sim Lim. Little India and Arab Street are reliable bets for fabric shopping, with local batiks and imported silks. Unfortunately, there's not much in the way of genuine local Singapore handicrafts, as most are brought in from Thailand, Malaysia and China. Products are usually of fair quality, though, and you can haggle. 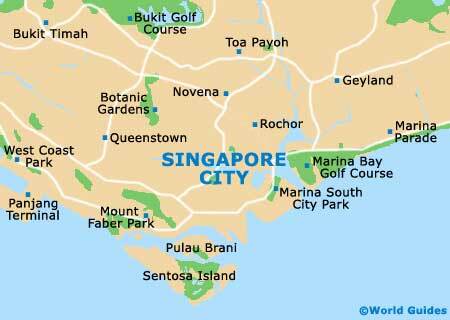 Note - Call the Singapore Tourism Board's hotline if you think you've been ripped-off at a shop.